Also a couple days old, but I figured seeing that I just posted the trailer to The Hangover Part 2, I might as well post this about the trailer being pulled due to an “adult” joke at the end of the trailer. If you’ve seen the trailer, you know what I’m talking about. Warner Bros. has pulled the new “The Hangover 2” trailer from theaters showing the film “The Source Code” nationwide after admitting that they failed to evaluate the final version of the trailer with the Motion Picture Association of America. 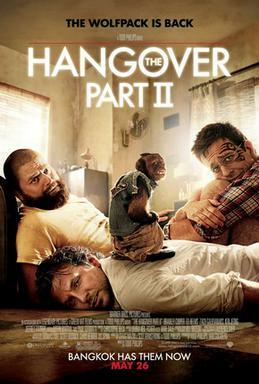 The movie trailer for the R-rated “The Hangover” sequel, directed by Todd Phillips, was shown across the country in front of the sci-fi thriller flick, which is PG-13.